Brian Deer’s BMJ Series Not Peer Reviewed Dr. Godlee falsely told concerned readers that Brian Deer’s BMJ article was “subjected to peer review” plus the false claim underneath the article that it was “externally peer reviewed.” Then there is this motion made by all three defendants, including Brian Deer, falsely calling Dr. Harvey Marcovitch the “external reviewer.” The result looks very much like conscious, intentional wrongdoing. In other words, malice. [2011 Oct] Astounding Wakefield Lecture to Association of American Physicians & Surgeons Implicates BMJ Editor in Research Fraud This lecture [see full video below] tells you exactly how the British Medical Journal Editor Dr Fiona Godlee is responsible for the most extraordinary research fraud in recent medical history in trying to cover up the association between vaccines and autistic conditions in children. [2011 July] British Medical Journal Fraud Allegations – Truth Laid Bare – Summary Re Autism & Dr Wakefield The BMA is a symbol of our morally and politically sick society. [2011 April] Brilliant Wakefield Lecture – Shows BMJ Editor’s & Deer’s Fraud Allegations Were Fraud Themselves This is an excellent recent lecture by Andrew Wakefield in Austin Texas in which he shows how Deer and BMJ Editor Dr Fiona Godlee perpetrated their own fraudulent allegations that Andrew Wakefield committed fraud when that was not true and in fact impossible. The fraud is entirely by journalist Brian Deer and the British Medical Journal. What Andrew Wakefield also shows is how the work at The Royal Free Hospital with his colleagues not only found a new bowel disease in autistic children but also how the results of that work have been and are today helping autistic children recover some normality in their lives. You can also read in detail how it was impossible for anyone to have committed fraud. Neither Dr Godlee nor Brian Deer have been able to answer these points. So who are the fraudsters? Godless is the toothless tiger "The British Medical Journal also failed to disclose that its own finances are largely funded by vaccine manufacturers who fill the journal with paid advertising, and that such financial ties may have influenced the journal's decision to attempt to destroy the reputation of a researcher whose findings threatened the profits of its top sponsors. If you follow the money in this story, in other words, it leads right to the editors of BMJ, whose salaries are effectively financed by vaccine manufacturers. This all-important conflict of interest is almost never discussed in the mainstream media, by the way"
"The BMJ is published by BMJ Publishing Group Ltd, a wholly owned subsidiary of the British Medical Association. 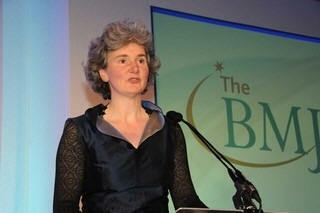 The editor of the BMJ is Fiona Godlee. 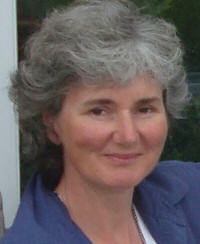 The BMA grants editorial freedom to the editor of the BMJ. The views expressed in the journal are those of the authors and may not necessarily comply with BMA policy. The BMJ follows guidelines on editorial independence produced by the World Association of Medical Editors and the code on good publication practice produced by the Committee on Publication Ethics"